Remove the screws (A), the bolts (B), and the clips (C, D) securing the rear bumper (E). 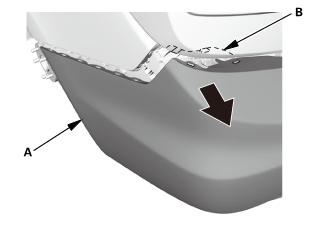 Pull out the rear bumper (A) from the side spacer (B). Repeat this step on the opposite side. 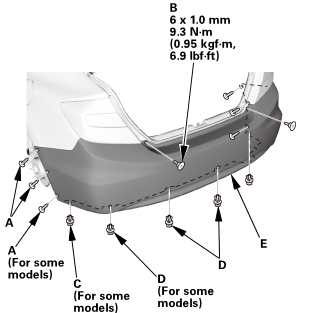 With the help of an assistant, pull out the rear bumper (A) from the side bracket (B). Repeat this step on the opposite side. With the help of an assistant, remove the rear bumper (A). Remove the rear air outlet (A). 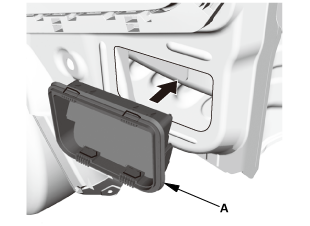 Install the rear air outlet (A). With the help of an assistant, install the rear bumper (A). 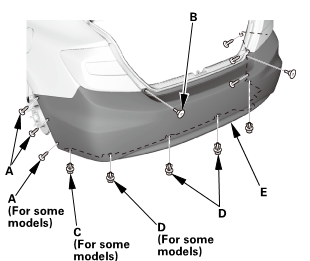 With the help of an assistant, install the rear bumper (A) to the side bracket (B). Repeat this step on the opposite side. 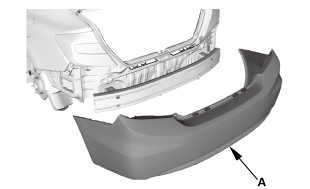 Install the rear bumper (A) to the side spacer (B). Repeat this step on the opposite side. 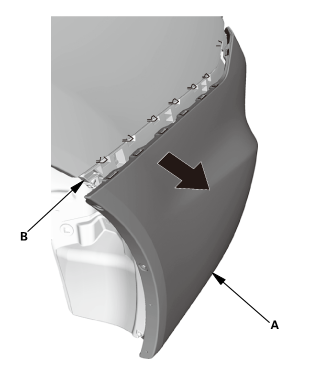 Install the screws (A), the bolts (B), and the clips (C, D) securing the rear bumper (E).